Most parents start the transition from crib to toddler bed when they see their toddlers climbing out of their cribs. For other kids, the transition happened because they liked the idea of a big bed. They associate cribs with babies and want their own beds instead. And still others are ‘forced out’ of their cribs when a new baby arrives. Whether they want to or not, these kids need to adjust to the toddler bed to make room for their baby sister or brother. No matter the reason, we can all use these tips for transitioning from crib to bed. Focus on her growing up and the next stages of sleep arrangements. Avoid bringing up other factors and talk about her instead. For instance, don’t say that you need the crib for the new baby (even if it’s true). Instead, talk about how she’s growing up so fast and she can be just like mom and dad with her own bed. At the same time, keep your enthusiasm in check. Have a genuine conversation without overdoing how cool sleeping in a toddler bed is. She’ll see right through the antics and might feel more anxious than excited. Confession time: One of my twins fell at least five times on the floor because it took us that long to finally get a toddler rail. 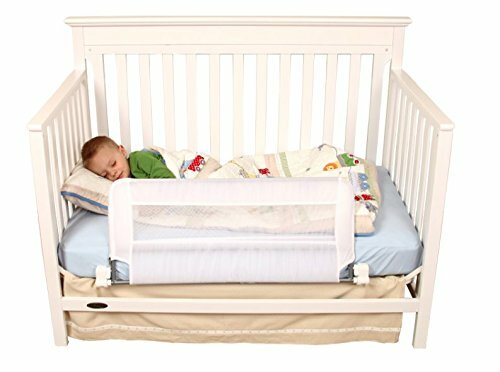 The poor thing slept in a crib that, while it converted to a bed, didn’t include a rail. We even tried putting pillows on the floor to catch his falls (#momfail). Our other convertible crib came with a toddler rail so that came in handy. 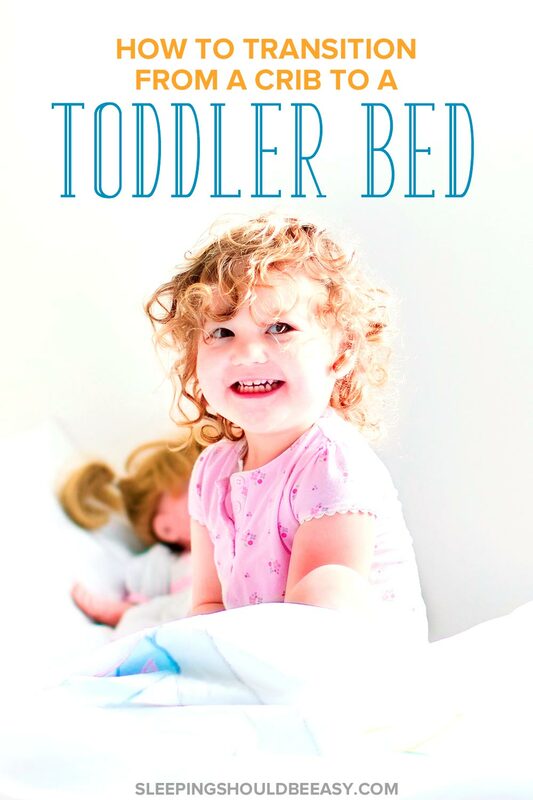 Though exciting or new a toddler bed can be, explain to your child the rules. Let her know to stay in bed until mom or dad comes in to get her up. You can even get an alarm clock with a light timer that turns on when it’s daytime. She needs to stay in bed until the turtle lights up. Think of your child’s room as her new “crib”—she now has access to the rest of the room. Even if you explain that she’s to stay in bed, don’t chance it that she’ll follow your word. Instead, make the room safe by removing items or clutter she can trip on in the middle of the night. Clear the pathway to the door in case she tries to open it. Any toys you don’t let her play with unsupervised should go in a different room. You want to keep most items out of the way to lessen any danger now that she’s more mobile. At the same time, keep the room comfortable and calm. You might want to remove any battery toys that light up or make sounds. Now that she has access to them, she might play with or even step on them by accident. My eldest felt scared transitioning to a toddler bed because of his fear of the dark. That may even be why he tried to climb out in the first place. Even if your child had been fine in the dark, consider using a night light now that she’s in her bed. She might roam, and better for her to do so without tripping or bumping on anything. Let’s say you did all the above: you talked about the transition from crib to toddler bed and read books all about it. You encouraged her with positive words and even bought her a new blanket. What if, despite all that, she has a meltdown? I’m talking a banging on the door, won’t stop crying, “Don’t leave me Mama” meltdown? We went from the child who slept through the night in his crib to one who didn’t want anything to do with his toddler bed. You can imagine how relieved we were for not to go through that twice with our twins. This might seem mad, considering we’re talking about locking your kid in her own bedroom. But think of it this way: before, she was within the confines of her crib. Now, she’s within the confines of her room. Our eldest had reached the age where he could turn the knob to open the door. We didn’t want him roaming our home and instead wanted him to sleep is in his bed. We put safety locks like these on the inside of his room. Other parents said they used a baby gate as another option (don’t forget to install wall protectors, too!). 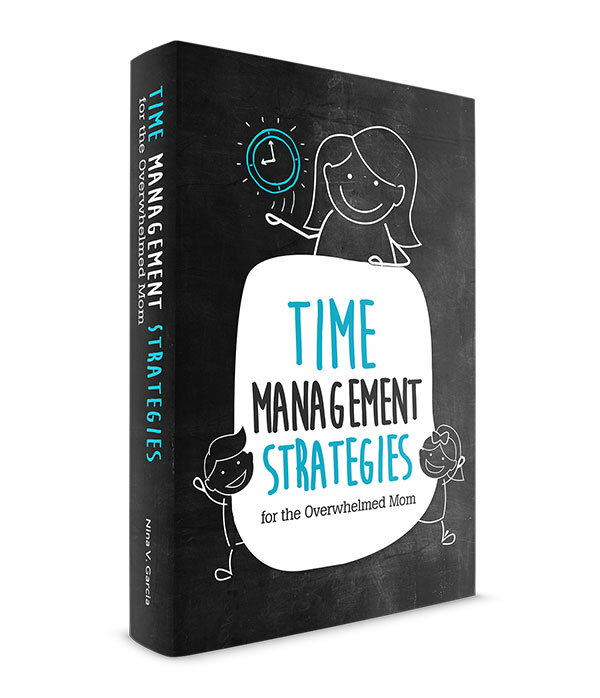 If your child is still crying when you close the door to the room, set your timer for five minutes. When it goes off, open the door and walk her back to bed and tuck her in. Explain that she needs to sleep in her bed and that you’re right in the next room. Then walk out and close the door. Keep this and all interactions subdued and minimal. Then, set your timer for 10 minutes, and do the same thing. If she’s still crying at the 10 minute mark, open the door and walk her back to bed again. And repeat at 15 minutes again until she finally falls asleep. I get that we’re always there for our kids when they’re scared. But letting her sleep in your bed because she’s scared tells her that her bed and room aren’t safe places to be. Instead, walk her to her room and tuck her in each time. Acknowledge her fear (“I know you’re scared because you’re sleeping in a bed for the first time”). Then, reassure her that all is well and her bed is a warm and safe place to sleep. Or, find a happy medium by sitting next to her bed on the floor while she sleeps in her bed. Let her know you’ll be there for a few minutes and then it’s time for you to sleep in your own bed too. But keep in mind that if she throws a fit when you leave, then you can’t use this tactic again (clearly it didn’t work). It took about two weeks before our eldest was 100% fine sleeping in his toddler bed. No sitting next to him, no yanking on the doorknob. We didn’t find him passed out on the floor. He slept the whole night in his bed, safe and snug. Your child may be the same or completely different, like my twins. With them, they had the added benefit of not being alone in the room, which helped them feel less scared. They also saw from day one their big brother sleeping in a big boy bed and knew the transition was a normal one. Whether your child is eager or scared, going from crib to toddler bed is a big one they all make. No longer are they the little baby you laid in the crib but are now big kids, complete with their big kid beds. Does your child wake up cranky and screaming from naps? 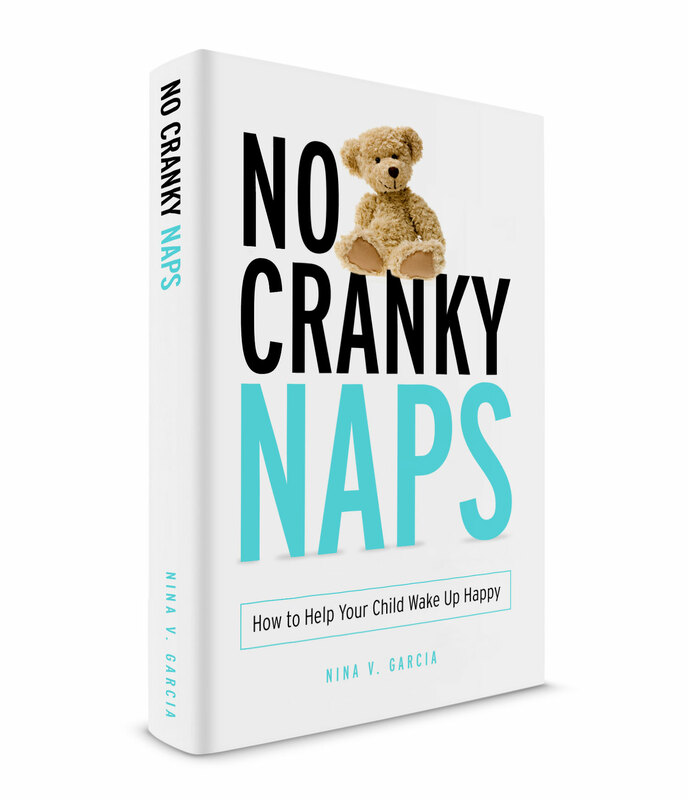 Learn how to help kids wake up happier with my ebook, No Cranky Naps! Uncover the reasons kids wake up cranky and learn how to equip your child with the tools to cope with big feelings. 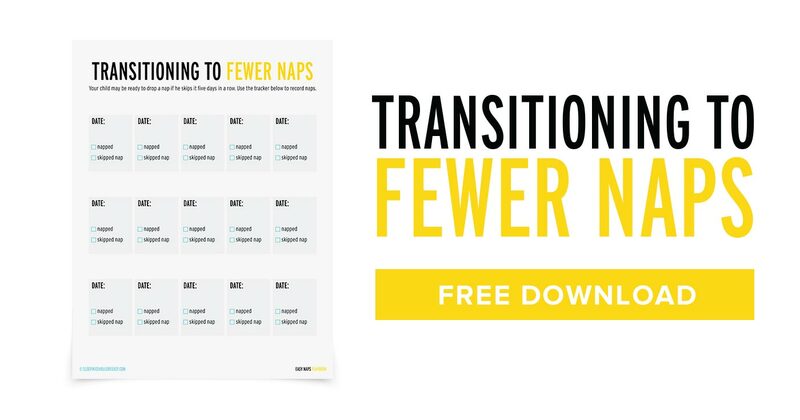 Tell me in the comments: How did you handle the transition from crib to toddler bed? What challenges are you currently facing with your child’s sleep? Our oldest transitioned really well. It was exciting for her and she looked forward to it. My first son went straight from the crib to his sister’s bed in the same room. They enjoyed sleeping together and it helped ease the transition. By the time the third was ready for a bed, we had bunk beds. The youngest slept with his brother for a while and then we finally moved Sissy out and the boys share the bunk beds. They still sleep with each other on occasion. Rabia that’s awesome your kids had a positive transition out of the crib. I think it really does have to help siblings modeling for the younger ones so they’re not so scared. Our girls were both ‘forced out’. But they were close to, or older than three, and neither ever climbed out of the crib. Watch the baby climb out by 18 months like his cousin! It amazes me when I hear about kids who stay in their cribs til 3! I wish mine were like that. It’d be much easier, though thankfully two out of three transitioned well. Can you imagine if your little guy climbed out at 18 months? Eeks! Great tips! Thank you! Our son tried to climb out of the crib for a few times and finally, he succeeded. He jumped out on our bed that was close to the crib. We understood that it was a time to buy the toddler bed. When he saw his new bed, he was so happy and liked it very much. I think he thought that finally, he was free from his prison – the crib:). That change brings us the new challenges like you said. As I understood your son sleeps in his own room. We didn’t change the bed placement, so that toddler bed is still close to our adult bed. Our son usually sleeps in his bed and sometimes comes to our bed at night. We also were afraid that he would go to the other room at night by his own. For our luck, it’s never happened. Transitioning right now. He is almost 2 1/2 and has climbed out 5 or 6 times in the past few weeks without getting hurt. I figured a good time to change before he gets hurt. He cries only several times for the first hour or two and then sleeps through the rest of the night in the bed (first night he slept on the floor for a few hours but got back into bed himself). It is a crib that converts to toddler bed so it is definitely recognizable to him so I would hoping it woulnd’t be too traumatic. I didn’t give him a pep talk before…just showed him his new bed and got excited. 2 days so far….keeping fingers crossed and hope I’m doing okay. Sounds like you’re on the right track, Lisa! It can definitely take a while before it’s 100% smooth. My eldest also slept on the floor the first night or two 🙂 I’ve got my fingers crossed for you and the little guy! Have you removed all of his toys from his room or have you just shut the door and let him do whatever until he falls asleep. I am torn if I should clean out her room so there is nothing to play with except her night light? Our toddler son basically cannot spend a waking moment alone in his new bed. Whenever he wakes, usually two or three times a night, he comes to our room to my side of the bed and waits to be taken back to his room. He stands quietly with his head resting on the bed or even lies down next to our bed. That’s what happened about an hour ago and why I’m writing now at 3:50am. Right now I spend 60-90 minutes each night sitting by his bed until he falls back asleep, from putting him down to repeated night wakings. However, thus far we’ve actually left our and his doors open, so he’ll be safe if he gets up in the night. Then I read your post. Ive ordered the color changing clock and door lock. I hope those work. Thanks. Hope it works, Drew! I’ve found that the waiting by their bed til they fall asleep method only continues that habit, eg they start expecting that every night. Sleep training them to stay in their room has helped, especially if you treat sleeping in his room with confidence, that you know he’s safe and there’s nothing to worry about. Also make sure that you check in every few minutes if he’s still fussing and crying so he knows you’re still here. I like your ideas about transitioning. The issue isn’t her getting up and throwing tantrums or crying out. I mean this is an occasional incident where she does these things. Our problem is she just wont go to sleep and so she just gets up and turns the lights on or starts playing. She used to be so easy to put down now it is taking an hour and a half to get her to fall asleep and we have been doing this for 3 months now. The only way I can get her to go to sleep with in 30 min is to lay next to her crib until she falls asleep that way she can’t get up. I have tried the fade method. I still will sit in my room so I can see her ( I leave her door open so I can see when she has gotten up) but I keep going in and telling her to get back to bed and we have made no progress. My husband wants me to shut the door and just let her do whatever it is she wants to do and eventually she will go to sleep which is great and all but she typically sleeps 10-11 hours at night and now that we are in a toddler bed she wont nap either so I am afraid between letting her just stay up as long as she is in her room and not napping now ( I do lay her down but she just lays there for an hour to 1.5 hours- wont sleep) she is not getting enough sleep and is having meltdowns and very crabby sometimes. I don’t know what to do at this point. do I shut the door and just let her sleep when she is ready? Hi Angela! I would agree with your husband with a quick change: I would shut the door, but go back in every few minutes (for instance, every 10 or 15 minutes) to put her back in bed, turn off the light, etc., and then shut the door again. This way, she knows you’re still there, you’re able to check and see if anything really is the matter, and you’re reinforcing that it’s time to sleep with the lights off and in bed. In time, she’ll accept this as the new norm, and not you sitting in her room waiting for her to sleep. Hopefully in time and with consistency, she’ll know to simply stay in bed all night 🙂 Good luck! I know it’s rough, and at three months it can feel defeating at times. Hopefully this helps!